David Gemmell passed away in 2006, leaving behind a legacy of memorable characters, epic settings, and thrilling tales. 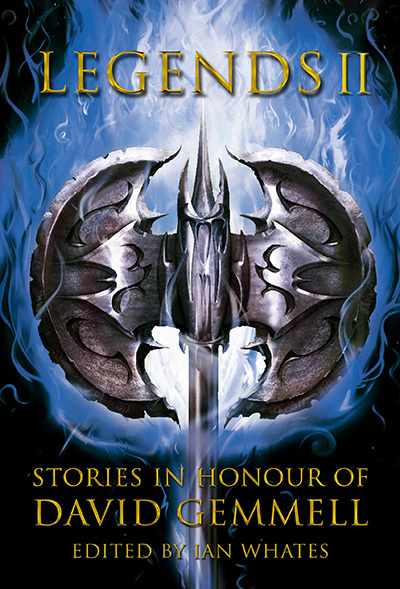 In 2008 a group of fellow writers and friends led by Deborah J Miller and Stan Nicholls founded the David Gemmell Legend Award in his honour. In 2013, NewCon Press released Legends, an anthology of original stories by some of today’s leading fantasy authors in honour of a man whose work has so inspired them. We are now proud to announce Legends II, featuring an all new cast of distinguished authors in a volume that fully lives up to the high standards of its predecessor.